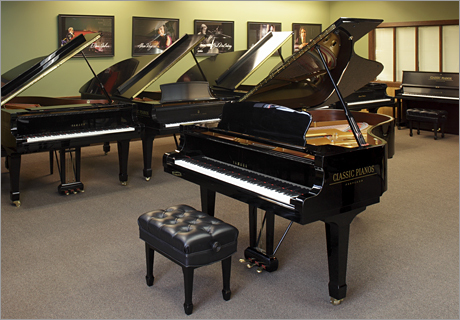 Classic Pianos maintains the most impressive fleet of rental pianos for performance and promotional use on the West Coast. Select from professional uprights and grands ranging from six-feet to nine-foot concert grands. We feel honored to provide Yamaha's new and highly-acclaimed CF-Series grands, which have made an incredible impact on the Classical Music community worldwide. 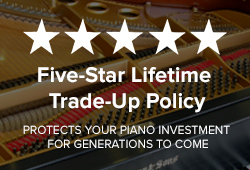 Take a look at who is using these pianos today: https://usa.yamaha.com/products/contents/pianos/premium_pianos/venues/index.html. At the highest-level of performance, more artists are now choosing the Yamaha CF-Series pianos than any other brand. 1. Piano rental is on a month-to-month basis. Rent is due one month after the piano is delivered to your home. 2. 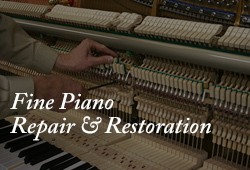 Piano renter will be responsible for normal maintenance of the piano including regular tunings. 3. 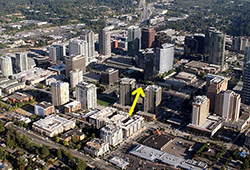 The initial charge includes piano delivery and pick-up fee plus the first month’s rent, which is due upon signing the rental agreement. 4. 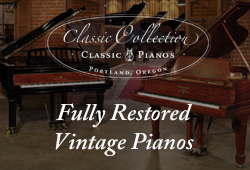 Classic Pianos will credit up to six (6) months of rental payments toward purchasing any piano in our store, including your rental piano.